If you’re a residential painting contractor, learning how to run your business comes with its share of trial and error. And sometimes, there’s plenty to learn by simply listening to other contractors talk about their challenges. Through its Advanced Shop Talk educational forums, the PDCA annually seeks to convene painting contractors to share solutions for business challenges such as hiring, developing a company culture, technology implementation, and more. “It’s all best practices and talking about how we overcome obstacles. There’s no reason to reinvent the wheel with some stuff,” said Scott Lollar, past PDCA president and director of operations for Boston-based Catchlight Painting. Now, in its 18th year, the forum—held on July 28th & 29th at the Hyatt Regency at the Arcade in Cleveland, Ohio—will also bring a little fun into the mix, with a Friday night networking reception at the Rock & Roll Hall of Fame. Consumer psychology, behavioral science: Understanding consumer buying habits will be the kick-off presentation given by Sherwin-Williams’ VP of Marketing, Jeff Winter, who will speak to consumer buying habits and general business trends in the residential market. Capping off the forum, Art Snarzyk, of the consulting company InnerView Advisors, will discuss using DISC (Dominance, Inducement, Submission and Compliance) personality tests and behavioral science to help you get the most out of your employee and customer relationships. Operations and business development: Poor processes and systems can hurt your bottom line, especially when business growth kicks into high gear. Annie Newton, CEO of 4 Seasons, Inc., a family run business in Washington state, talks about how she learned to streamline some of her company’s processes and systems. And Michigan-based painting contractor Tom VanDerKolk talks about the downsides of business growth when companies aren’t prepared for it. VanDerKolk shares how training and effective delegation have kept him sane and his company profitable. Hiring: Finding good help is probably the greatest challenge for any painting contractor today. Lollar’s talk titled ‘Hiring Rock Stars: Key Hires to Grow Your Business’ speaks to where to find good employees, how to manage them, and the rewards one can reap when investing in a good hire. Company culture: ShurTech Brands CEO John Kahl will share how his company culture serves as the ‘rock-solid foundation’ for exponential growth of his enterprise’s popular brands: Duck, FrogTape, T-Rex, and Painter’s Mate Green. 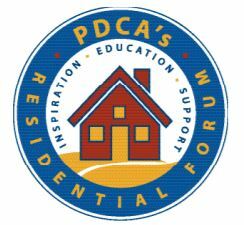 Learn more and register for the PDCA Advanced Shop Talk conference at: pdcaresidentialforum.org. InPAINT readers will enjoy the PDCA member rate.